Why should Dad be the only one to ride a motorcycle? This was the question posed when the 50cc Liberty debuted in 1962. Aimed at yougsters not old enough to acquire a driver’s license, it was truly a scaled-down motorcycle that looked like a bigger bike. 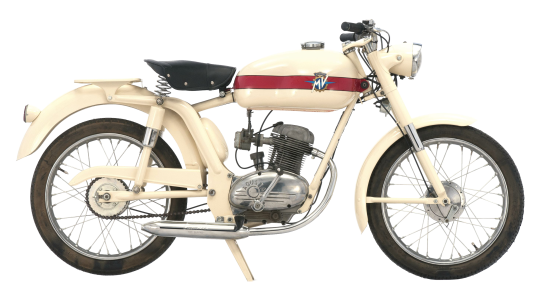 The diminutive single-cilider, 4-stroke, pushrod engine only produced 1,5 HP, but in a bike weighing only 58,5 Kg, it would top out at 40 Km/h. This example uses a 3-speed gearbox with a twist-grip gear change. Production numbers were impressive; 5,292 units were built.